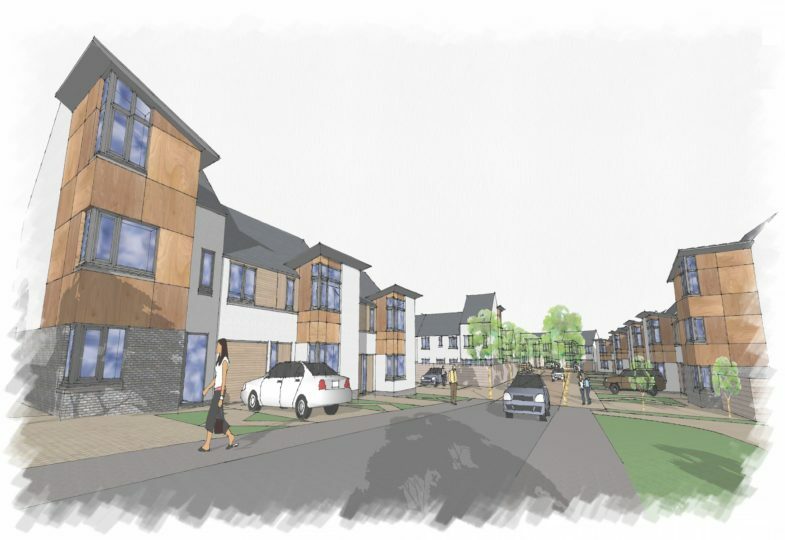 Andrew Black Design were brought on board to create a 35-house development scheme which would transform a derelict former workshop and disused open space to the east of Barns of Claverhouse Road, Dundee into a thriving residential area that would give the pedestrian precedence over the car. 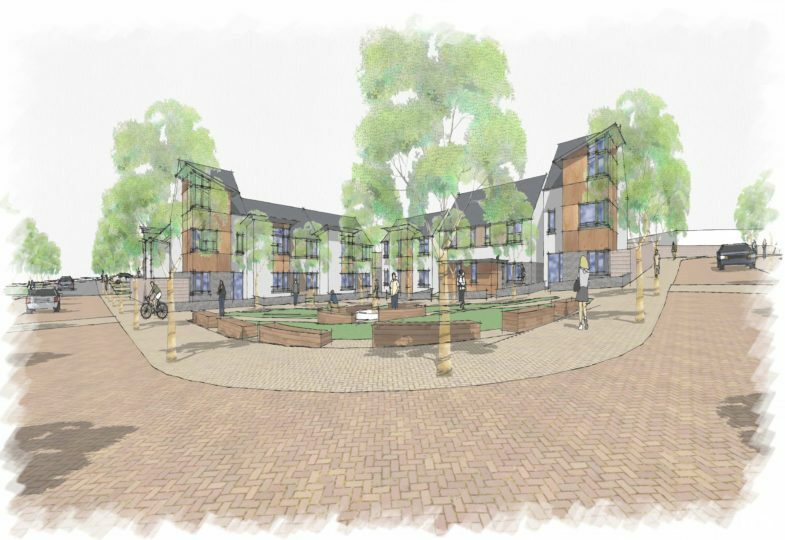 The inclusive, living street design proposal allowed us to maximise the site considering the various local plan restrictions and create an environment in which pedestrians can walk, or stop and chat without feeling intimidated by motor traffic. 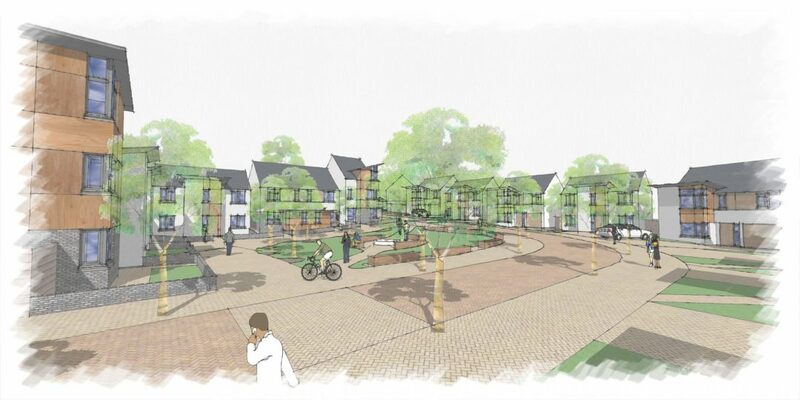 Existing green space was respected and redistributed throughout the site and integrated as part of the new development with existing footpath access through the site being retained to create a new improved route along communal green spaces. Working in conjunction with Neil Gray at Gray Planning & Development, we were delighted to gain planning permission for this project in November 2015. 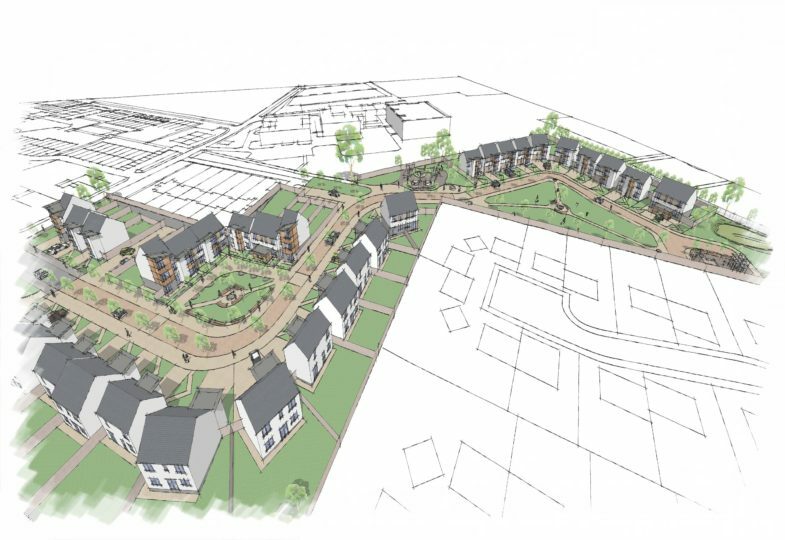 This process involved close collaboration with the client and in-depth discussions with various parties, including Dundee City Council Planning.